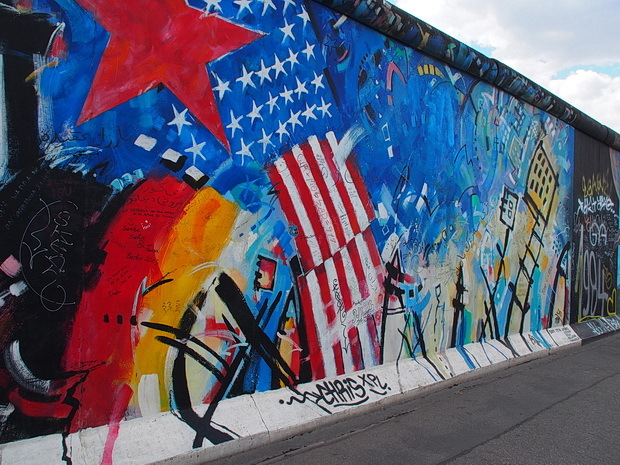 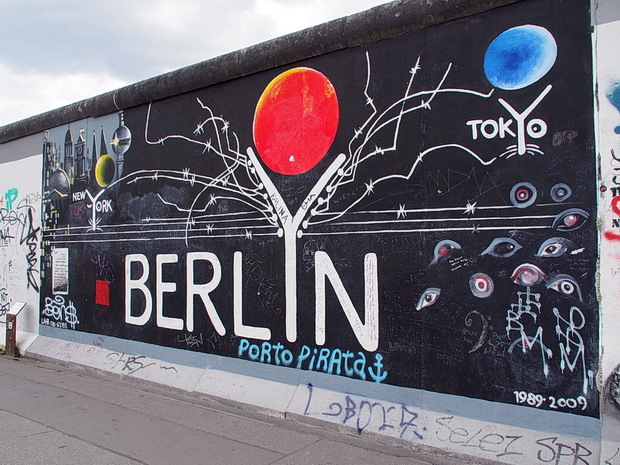 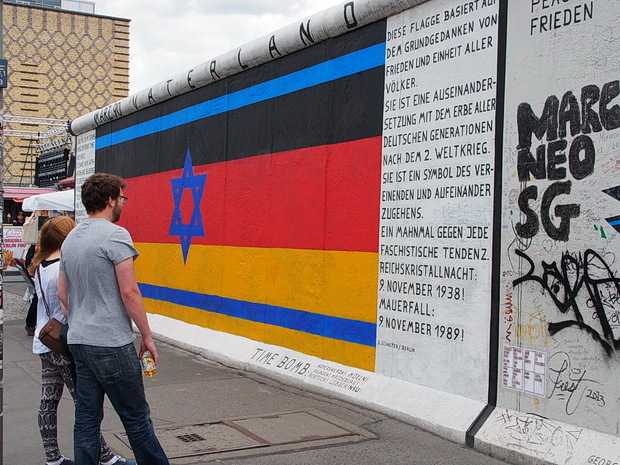 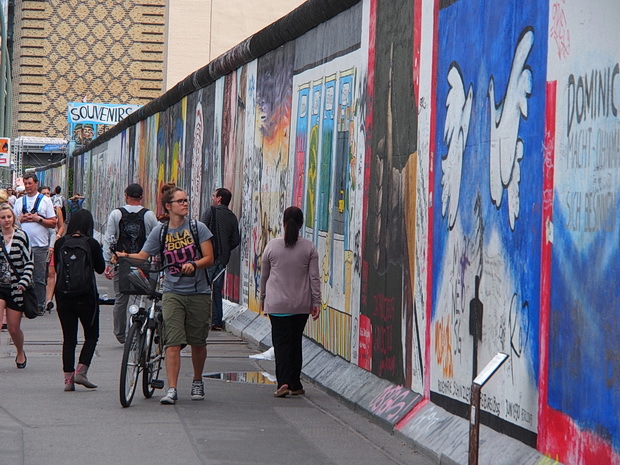 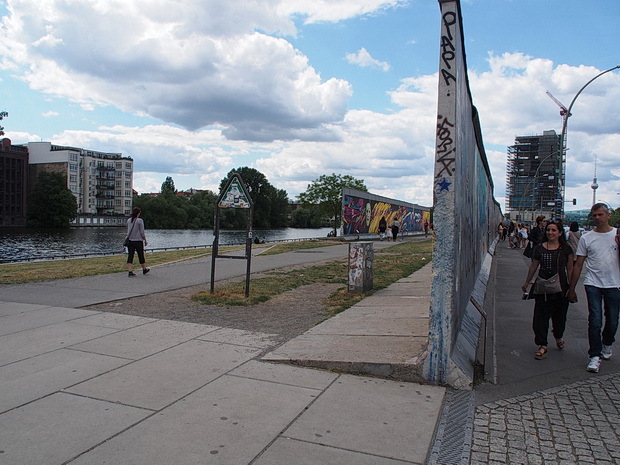 Built in 1961, the 28 mile Berlin Wall was a barrier constructed by the German Democratic Republic that cut off West Berlin from surrounding East Germany and from East Berlin. 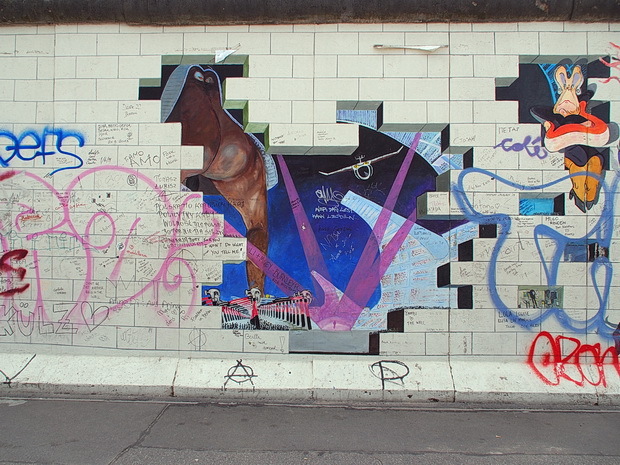 The wall finally fell on the 9th November 1989, with only a few short fragments surviving to the present day. 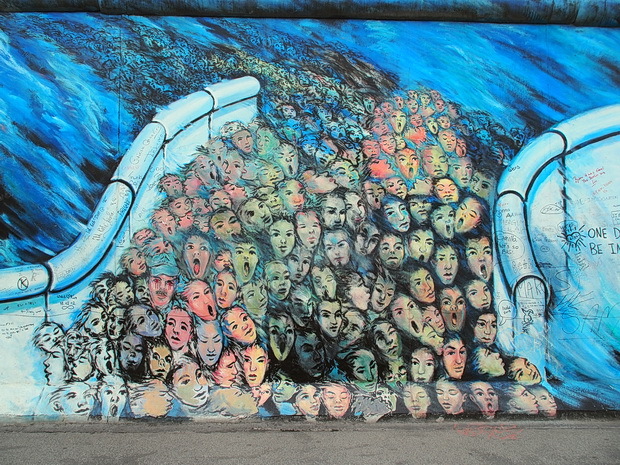 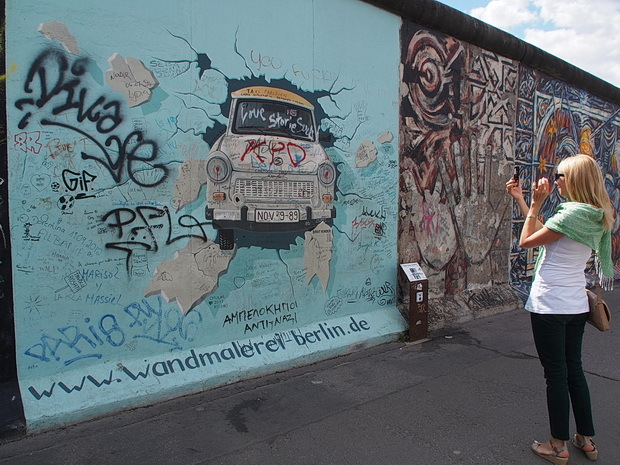 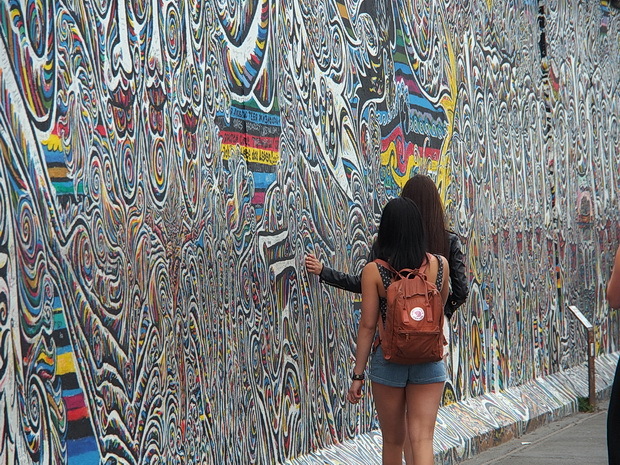 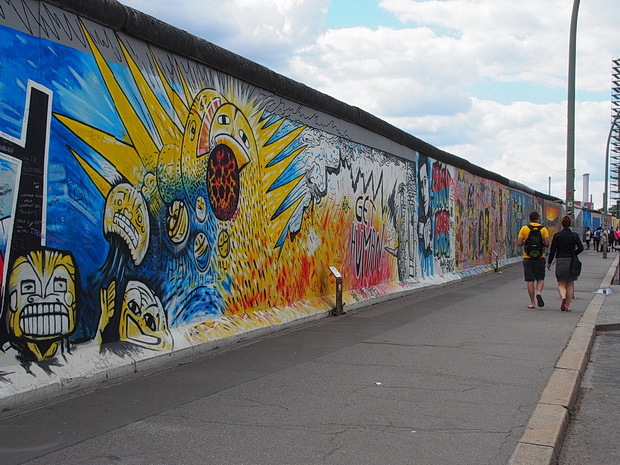 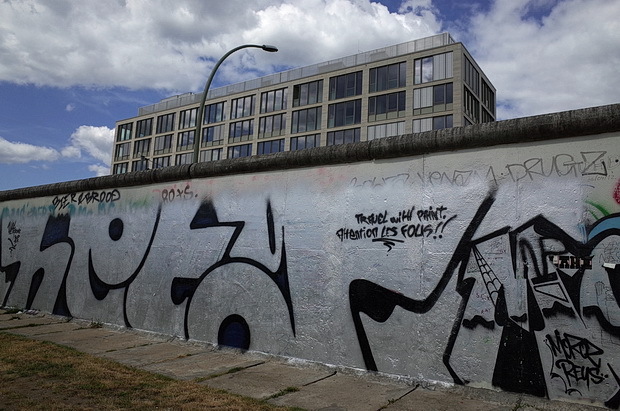 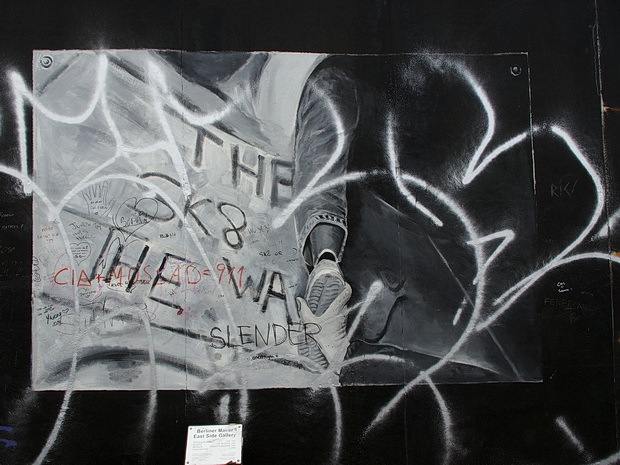 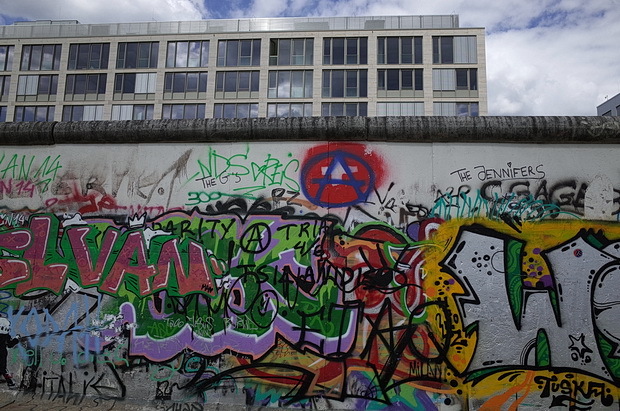 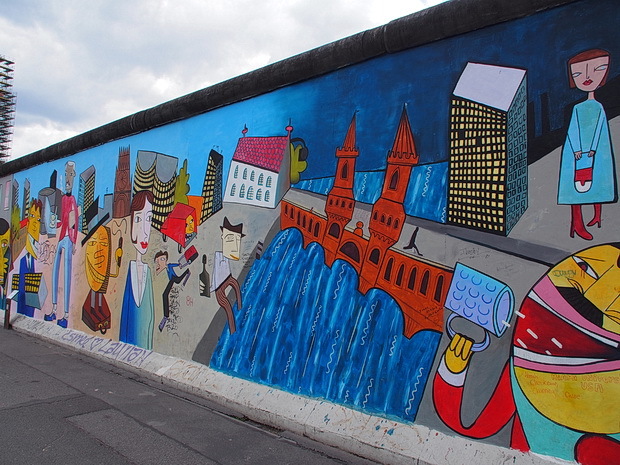 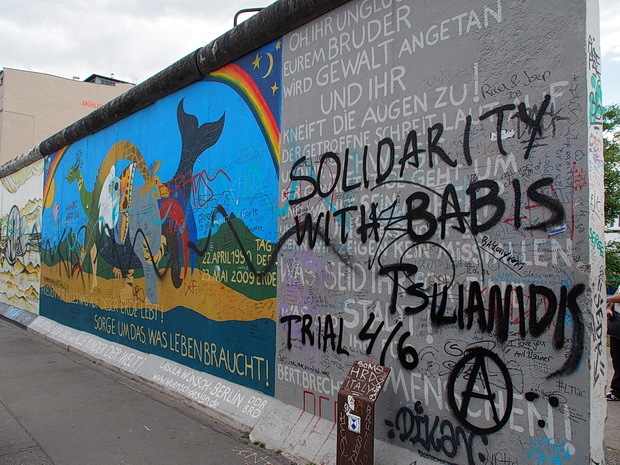 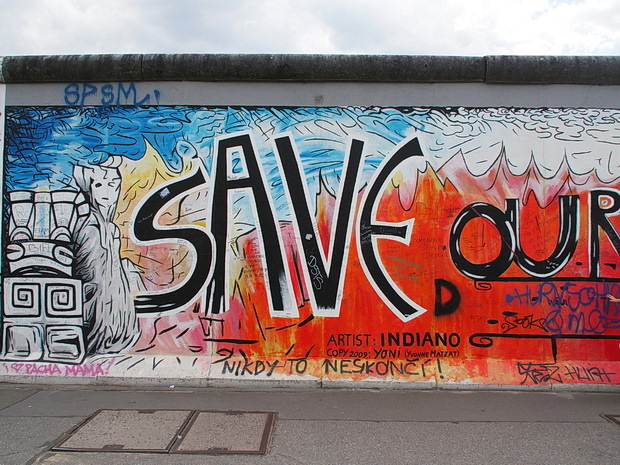 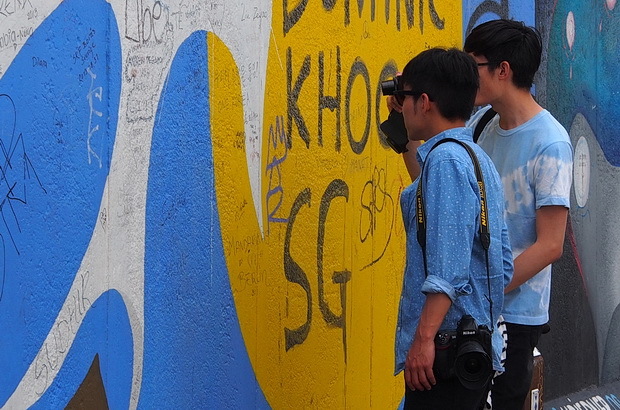 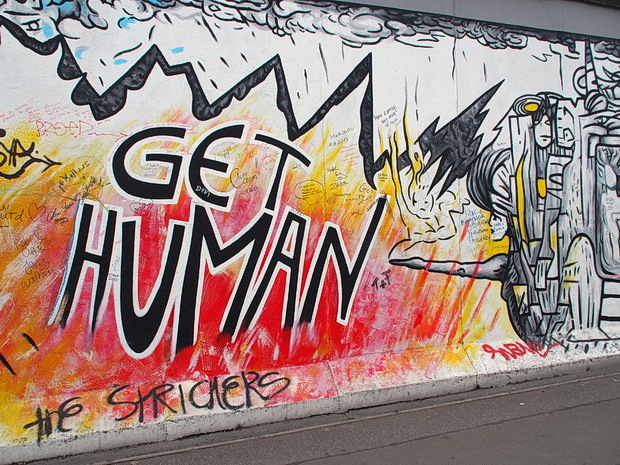 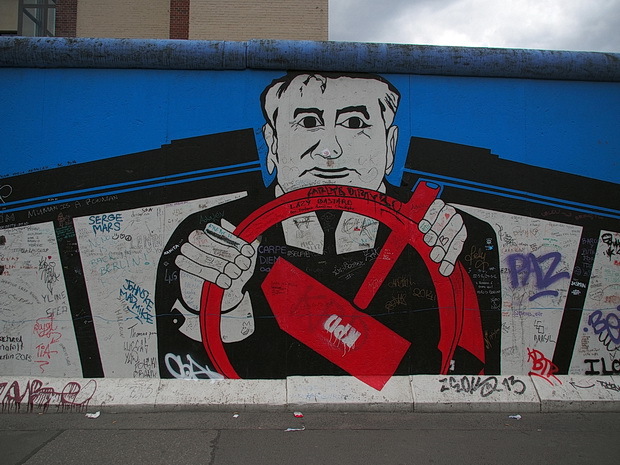 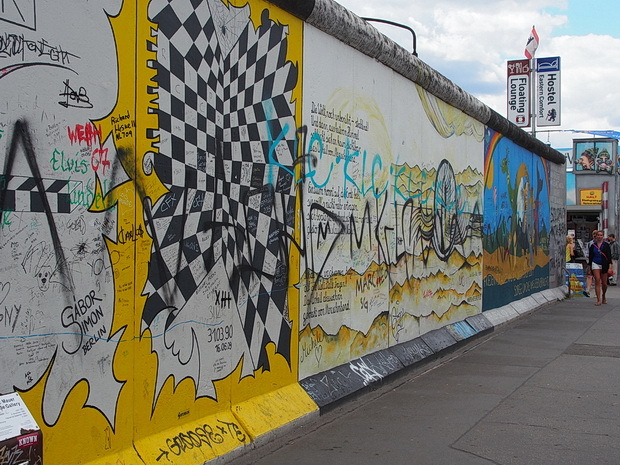 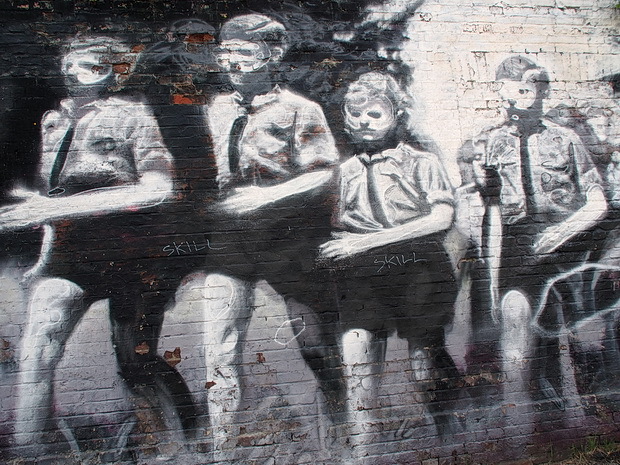 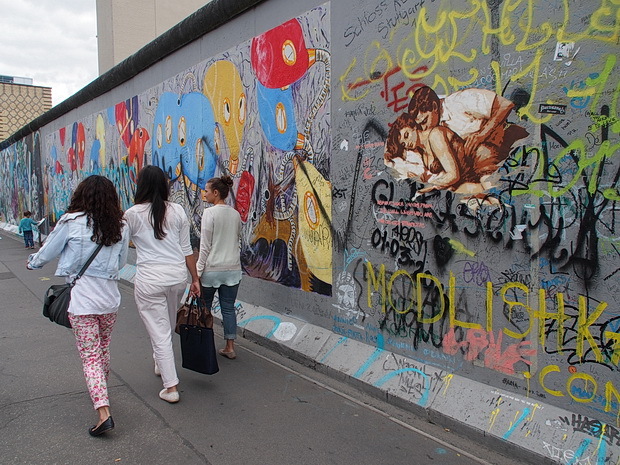 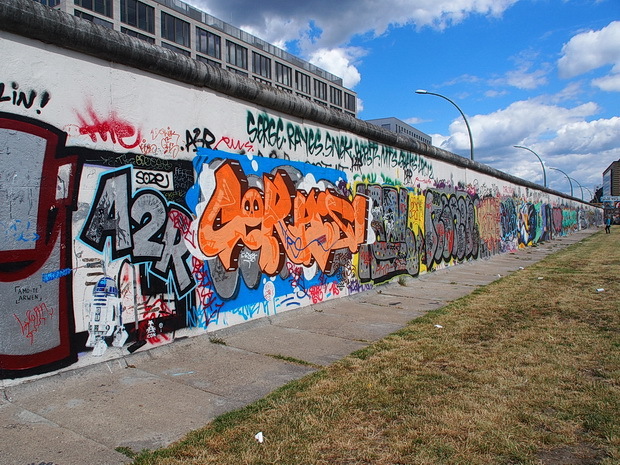 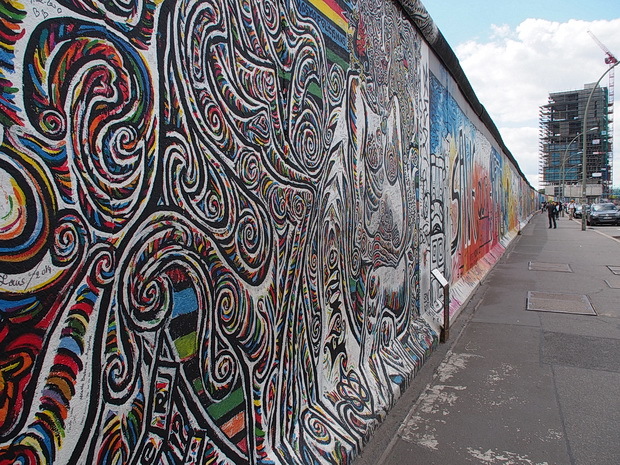 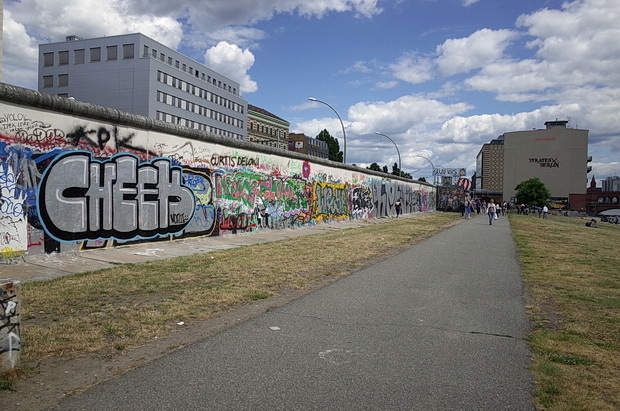 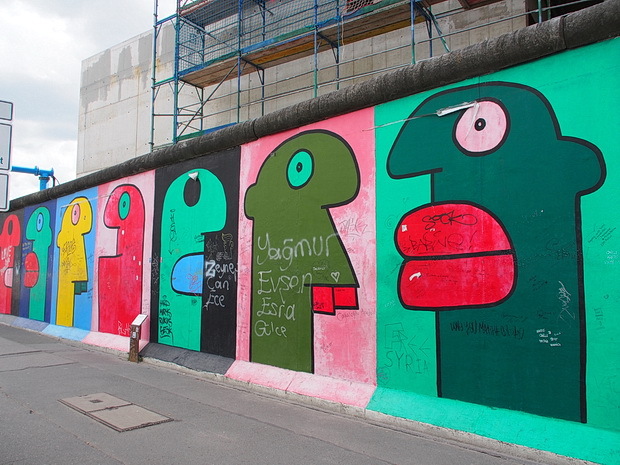 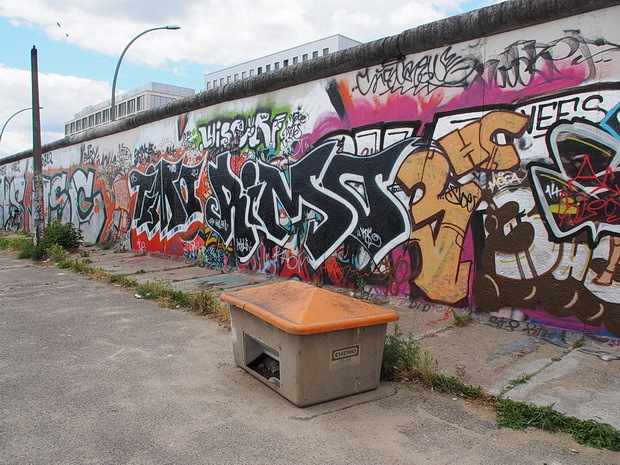 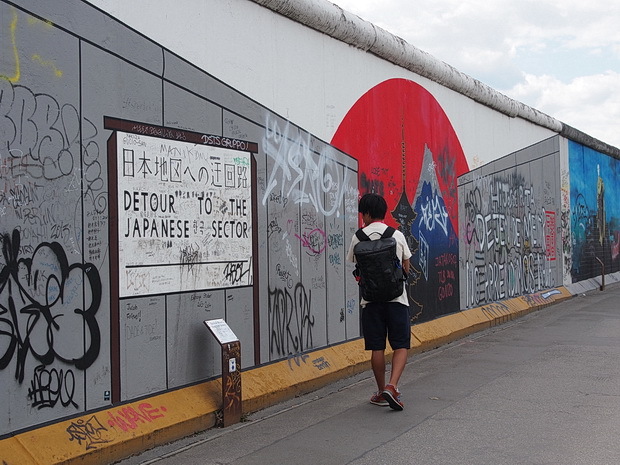 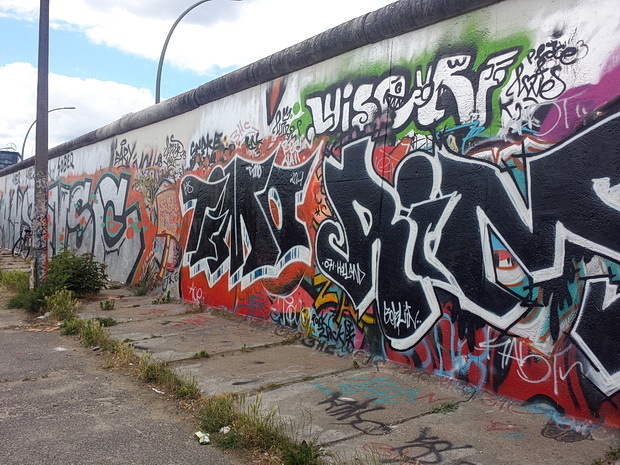 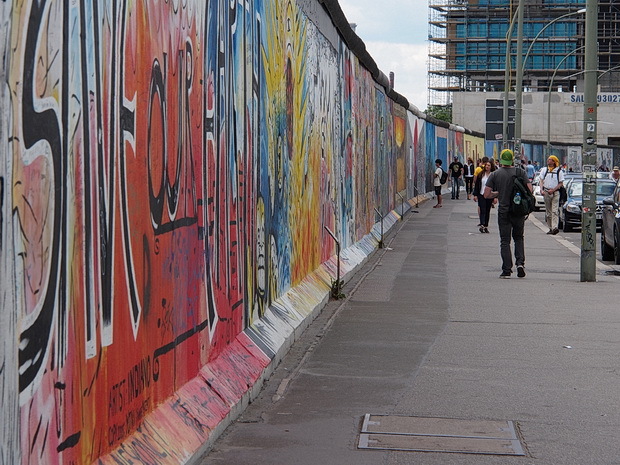 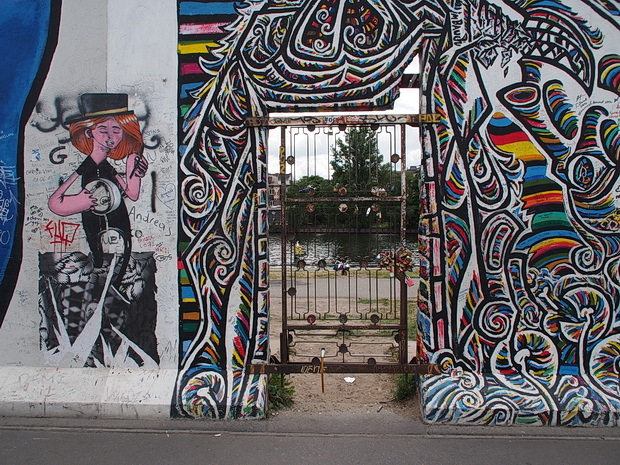 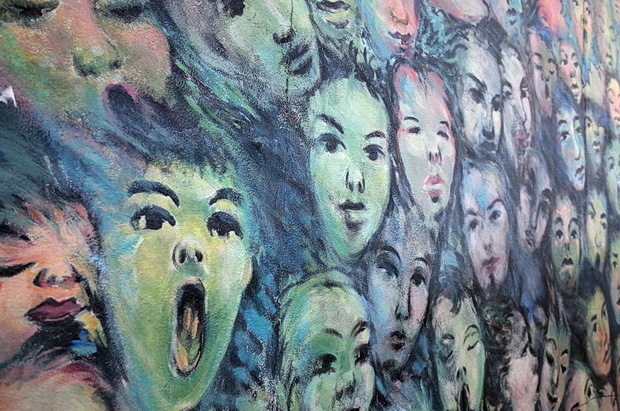 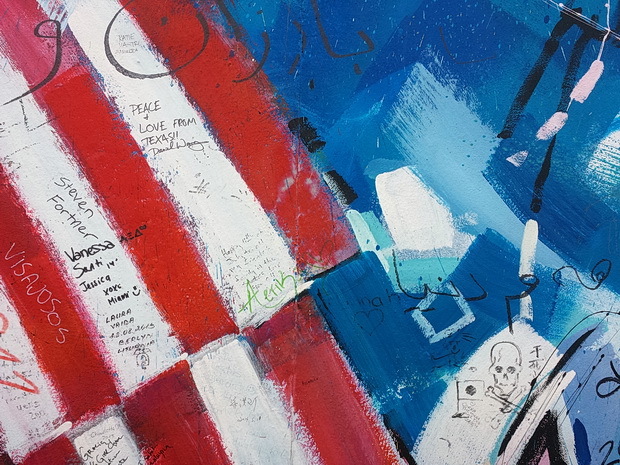 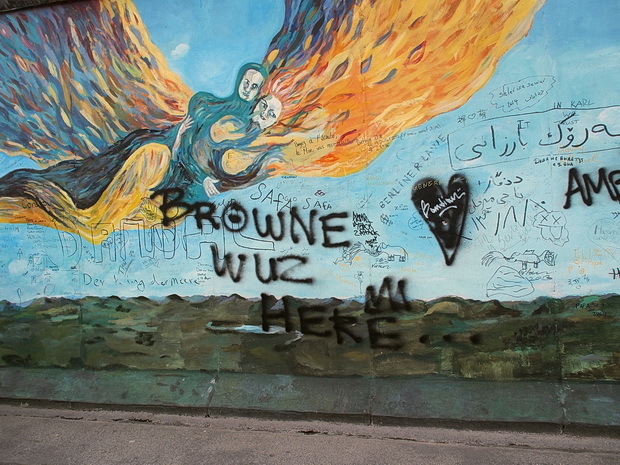 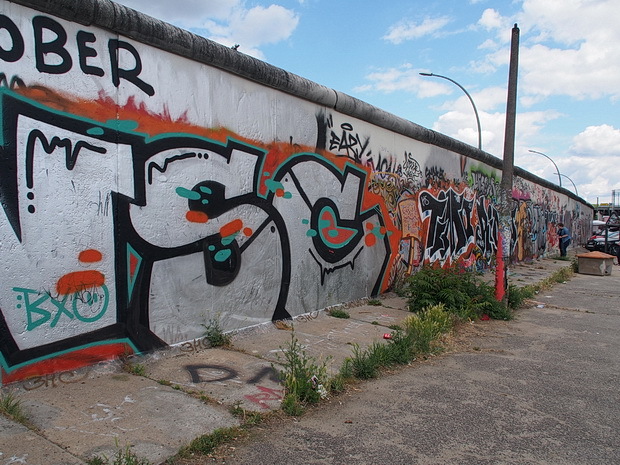 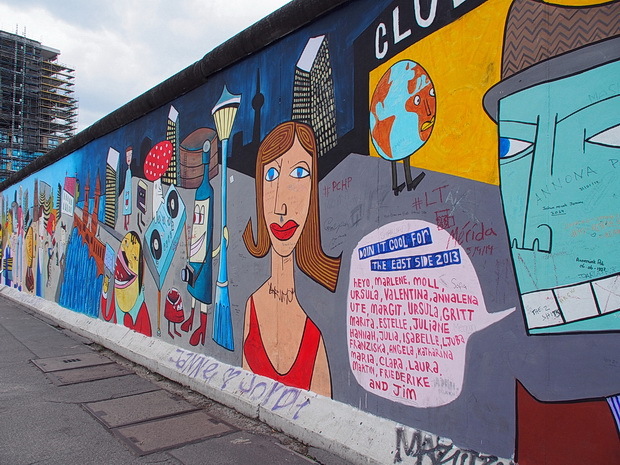 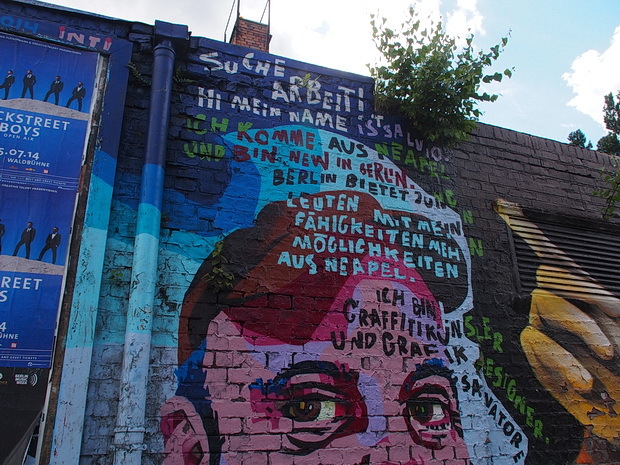 Here’s a series of photos showing the artwork and graffiti around the East Side Gallery. 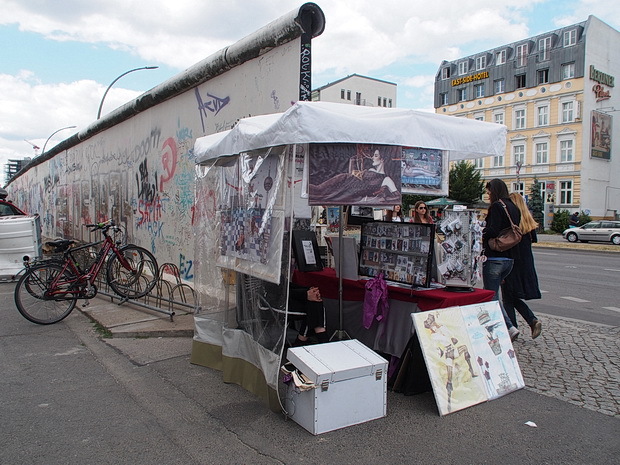 Doing business by the wall. 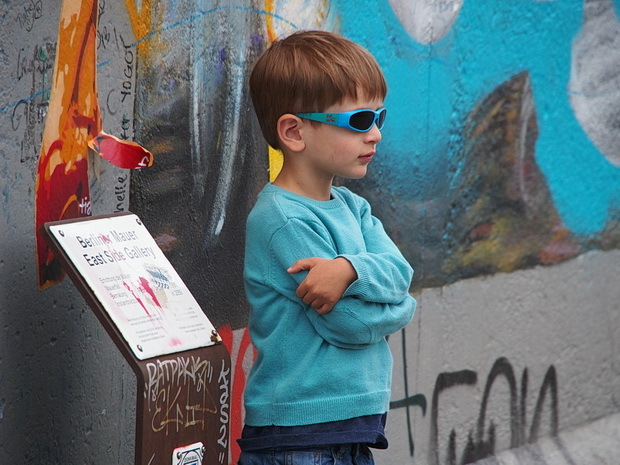 Posing at the East Side Gallery. 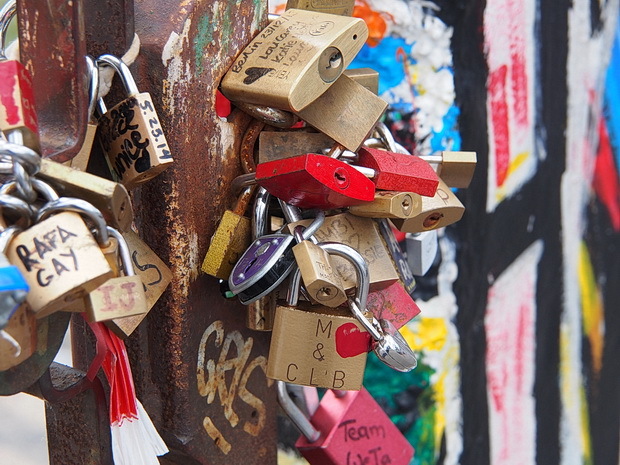 Those bloody love locks are here as well. 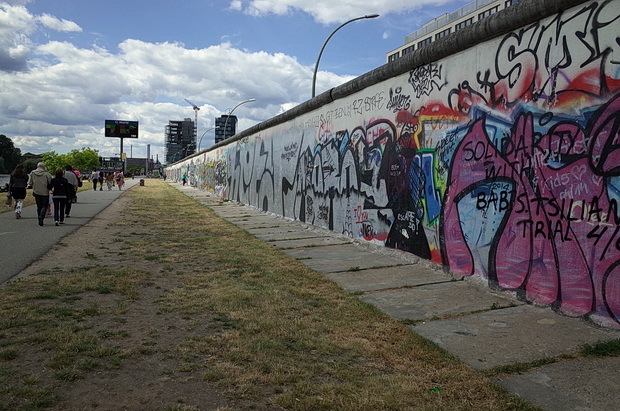 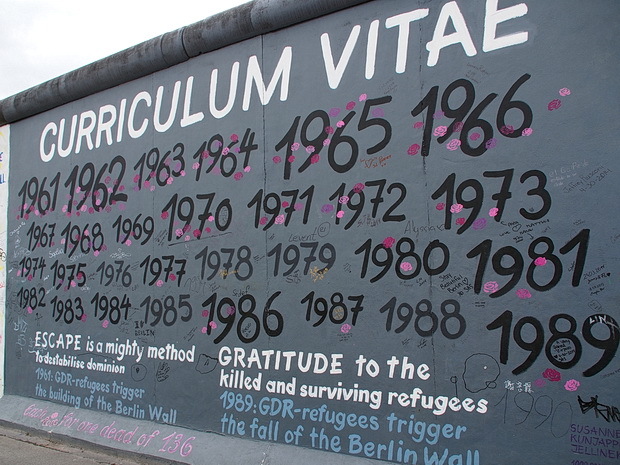 Read more on Wikipedia: Berlin Wall. 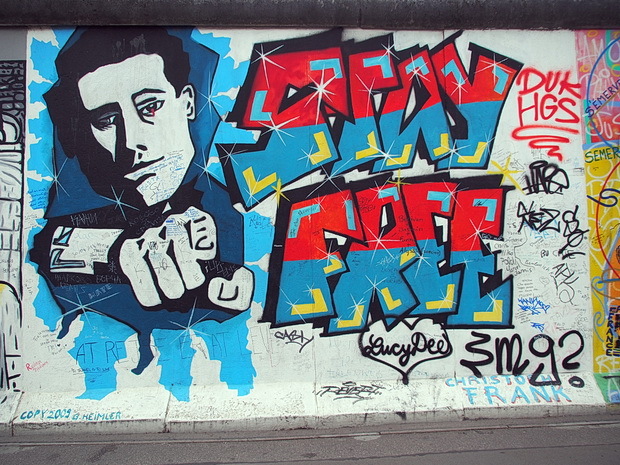 Chat about Berlin on the urban75 forums.